Let’s get Ronan on Secret Sessions! Online music video channel Secret Sessions is planning to feature some new unsigned artists based on them being recommended by the Twitter community. Tweet them to say you want to see @rmacmanusmusic on the channel! That’s it! Just do it ASAP – before the end of April! Thanks! I’d recommend having a listen to Ronan’s great ‘War on Peace’ EP. You can find it on iTunes here. OK, this isn’t a real primer in how to play the drums. It’s just that I can play and I have a kit at home. When friends come and visit they often pick up the sticks and try out the kit, before giving up after a minute or two of random bashing. I often try to give some guidance, but it’s not easy. You do need coordination and practice to play drums, but just by having a basic understanding of a rock rhythm it is possible to play something – even on a first attempt. First you need to think about which drums you will play to manage a basic rhythm… and I’m assuming you are right-handed. For lefties, just reverse everything to the opposite hand and foot as the kit will be switched around. Right foot: Kick (or bass) drum, the deep bass drum, the basic rhythm. Left hand: The snare, the high rat-a-tat sound that counterpoints the kick. Right hand: The hi-hat cymbal, the high sound that’s really keeping time, you can usually hear the sh sh sh shhhh sh sh sh shhhh sound if you listen to a pop song. Most rock and pop is played in 4/4 time. You don’t need to understand music theory to just mess about, but try listening to a rock song right now. Count along with the kick drum and you will probably notice that all the changes… the jump from a chorus to a verse or a solo take place on the count of 4 or a multiple of 4 (8 for example). What this means in simple terms is that there are 4 time markers in each bar of music, so a basic rock or pop rhythm would just be the hi-hat keeping time and then alternating between kick and snare… boom, tat, boom, tat… sounds simple? If you have a drum kit available then try this – if you don’t have a drum kit then just try it at a desk to see if you can work out the coordination. Second: start the process again and the first time you hit the hi-hat, hit the kick drum – do it together – and then do that on every 4th tap of the right hand. It is simple once you get used to hitting the cymbal and playing the kick (using your right foot) at the same time. Third: start the process again and alternate between the kick and the snare, also hitting the snare at the same time as the hi-hat. So now you should have your right hand playing a constant timing marker on the hi-hat sh sh sh sh sh sh sh sh sh… then every fourth one you also hit the kick drum and alternately you hit the snare. That means every other hi-hat hit will be just the hi-hat alone, and the other times will be the hi-hat with either the kick or the snare. It can get a lot more complex. A lot of rock – particularly metal – drummers use two kick drums so both feet are playing bass and drummers like Keith Moon from The Who never bothered with a hi-hat – he would just keep time on the regular cymbals. So once you know that you actually can keep time and play a basic rock rhythm then there are other styles of music that use different times (try listening to blues or jazz, it’s not 4 beats in each bar) and even within rock it can all be a lot more complex! Você pode ajudar os Dead Kennedys? : Can you help the Dead Kennedys? On Saturday April 20, Klaus Flouride and East Bay Ray’s guitar cases were lost by TAM Airlines in Brazil on their flight from Sao Paulo to Recife. We would like to ask anyone in Brazil that might work at TAM Airlines or know someone who does to help us find the two guitar cases. 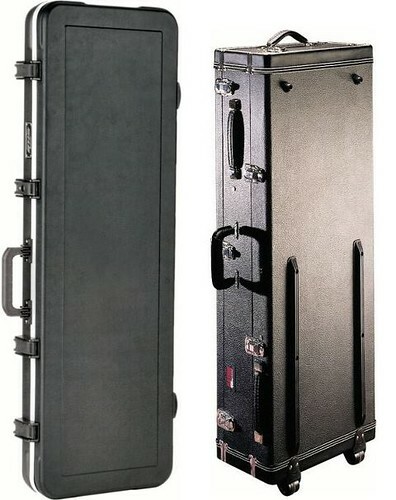 One is a SKB bass case and the other is a Gator double guitar case. Here is a photo of them. If you have any information, please message us here. Thank you. No sábado 20 de abril, os cases de guitarra de Klaus Flouride e East Bay Ray foram perdidos pela TAM quando os músicos viajavam de São Paulo para Recife. Gostaríamos de pedir a alguém no Brasil que trabalhe na TAM, ou conheça alguém que trabalhe lá, que nos ajude a encontrar os dois cases. Um deles é um baixo SKB e o outro é um case de guitarra dupla Gator. Aqui está uma foto dos dois. Se você tiver qualquer informação, por favor mande uma mensagem para nós aqui. Obrigado. Gringoes: why would you live in Brazil? I’m a regular reader of the Gringoes.com website. It’s a magazine for foreigners living and working in Brazil and the downsides of being in Brazil are a regular theme of articles and discussion, particularly in the associated Facebook group where readers can vent their opinion openly without the need for an editor to approve what they submit to the magazine. In the past day there has been an enormous argument raging on the Facebook group because one foreigner wrote a list of dozens and dozens of reasons why he hates living in Brazil. Every foreign person living far from home has some reason to miss home, but for someone to sit and write a list of 66 – yes 66 – reasons he hates being in Brazil leaves me feeling rather incredulous. This is surely a hatred bordering on obsession? It is easy to leave. Even if his wife has a good job. Or she wants to be close to her family. He could just leave, return to the USA and swallow the cost of visiting regularly as being better than having to endure a life in Brazil. But comparing things to home is normal. I knew a British guy who has now left Brazil and he would lament about the quality of shops like Boots. I actually think that the drug stores in São Paulo are pretty good – even if the generic drugs are too expensive. I spent some time living in the USA teaching kids when I was younger. I had a health-plan provided by my employer and I never needed to use it, but now I am self-employed, I think that finding over $1,000 a month to ensure I can see a doctor when I need one would seriously put me off ever living in the USA – but it’s a place I love visiting. I spent a lot of time in India and Singapore when I was working for a bank and I had all kinds of comments and thoughts about those places. Singapore is clean and safe and well ordered, but nobody has any real ability to criticise the government – then you end up wondering how much that right is worth if the streets are clean and you have no fear of getting mugged? In India the poverty is oppressive, even in cities like Mumbai where billionaires and film stars frequent the beaches and luxury hotels. All my foreign friends living there had to be in gated communities, sealed off from the ‘normal’ people – is that really what life in India is about? And so what about Brazil? It’s true that the country is saddled with an inefficient bureaucracy and it appears there is no desire to streamline any of it – just dealing with the cartorios (notary offices) alone by using biometric identity would sweep away an enormous amount of time checking and stamping forms – often for no other reason than confirming a signature is genuine. But there are probably millions of people working in these offices so the government would give efficiency with one hand and wipe out jobs with the other. Brazilian drivers are very aggressive. I don’t mind most of the time, but when someone pulls a stunt like overtaking me on a sweeping corner (it happens a lot more often than you might think) and their stupidity is endangering me and my family then I get angry – and there should be no need to. It is tough to negotiate life in Brazil sometimes. I’m grateful that I’ve got a fantastic wife who can steer me through a lot of the things that would give a foreigner an entirely negative view of the place. I know a British guy who was robbed at gunpoint in São Paulo in his own home, but his Brazilian wife chose a crappy neighbourhood for them to live in where he would obviously stand out – so who is to blame? I’ve also been lucky to get great professional advice. The accountant for my business had never handled a company like ours before – lots of foreign clients, money coming from all over the world, only really dealing in intellectual property rather than tangible assets. She studied all the relevant rules to handle our company and has been doing a great job – and it’s needed because even a small company here has to file a tax or regulatory report AT LEAST ONCE A DAY… I did mention there is a lot of bureaucracy here. Foreigners on the Gringoes website complain of being ripped off – try catching a taxi in India then and asking the driver to use the meter. It won’t happen. They complain of the ‘culture’ in Brazil not being like back home. They complain about how they can’t complain without being ignored. I have even seen foreigners on the forums talking about how Brazilian music is just not as good as it is back at home. Are they kidding? Have you been out in São Paulo recently? It is packed with live gigs going on every night of the week. I admit, seeing the big international rock acts is expensive, but there is a thriving art, music, and culture scene in Brazil. And then, when Brazilians respond with a list of all the great things about Brazil it just so often seems to be full of clichés… is feijoada really one of the reasons why people choose to live in Brazil? The reality is that you can’t define a place with a single broad stroke. There is no Brazil this or that in the same way that living in Louisiana is very different to California or New York. Living far from home is affected firstly by the place you have chosen to be and the people you are with. For example, if you are used to life in central New York or London then life on a beach up in the rural north east of Brazil might seem idyllic when you first arrive. The sun, the beach, the endless opportunity to live next to the barbecue. After a while though you might start wondering when you are going to next visit the cinema, a theatre, see a rock concert, or meet a friend who has read the books of Anthony Burgess. Living an idyllic life by the beach can have downsides too. And the people are important. Moving anywhere can be improved by having a partner from that country, but people are people. 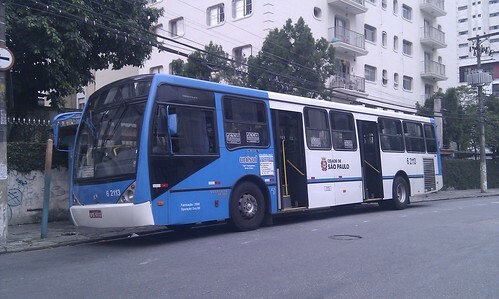 I’ve met many Brazilian people from São Paulo who don’t even know how to get around their own city. In my short time here I’ve learned more about the public transport infrastructure and different neighbourhoods than they have in a lifetime. And I’ve also seen locals setting up home with their foreign partners in completely inappropriate locations – as I already mentioned. I’m not suggesting that a foreigner moving to São Paulo has to live in a ghetto of foreigners. It actually annoys me when I meet ex-pats living in the city and they all gravitate to Jardins, Moema, or Brooklin. They are not really the most interesting parts of the city at all, but are considered ‘safe’ so foreigner-ghettos are created and then the cycle is reinforced – these are good places for foreigners to live because others are already there. So the type of place, the location, the people you are with – these are all factors in creating your personal experience. The cultural complaints I read on Gringoes are all influenced by this – we are all in different places with different people so we cannot just assume the same about Brazil. The Brazil one person experiences can be entirely different to that experienced by another. When I see the complaints about foreigners being treated differently, getting ripped off, I remember when I was living in São Paulo and every shop owner in my street would wave and say hello as I walked my dog down the street. I had a set of spare house keys in my local bar, in case I ever lost my keys. The taxi drivers at my local cab rank all said hello and were happy to do short or long runs at short notice. I never found any of the negativity I can see expressed on the discussion forums. I was never burgled or mugged or witnessed any crime during my time in São Paulo, despite the statistics painting an image of the city as one step away from Gomorrah. Now I live in a smaller town this has only become more accentuated. The paranoid may fear that standing out as the only English person in town might lead to being targeted by burglars or worse, but what have I found? Just a sincere welcome everywhere I go from the barber to the bakery to the bar to the local government – who are all excited about having a real English person help them with some music and culture related to the UK. In fact, what have I found out about Brazil in short? Business; running a business is bureaucratic. I cannot even personally deal with the number of regulatory and tax reports I need to file – it is more than one report a day. But my accountant does it all efficiently at a reasonable price and the corporation tax on my company is lower than in the UK. It takes a bit of effort to run the firm, but in short, the tax bill is lower than it would be in the US or UK so that can only be a good thing. I am better off that I would be back in the UK and I’m staying on the right law of the law and paying my taxes. World focus; talking of business, I am busier than ever. Brazil is a great place to be as it has survived the global economic downturn and with the next World Cup and Olympic games coming here everyone is looking to do business in Brazil in this decade. Home; I now live in a lovely spa town of about 30,000 people packed full of mineral water springs. I open the window in the morning and see mountains in front of me as the sun rises. I’ve got a pool and sauna at home and space to entertain friends when they come over. I can’t imagine having all this back in London – my last home in the UK was a small flat. Nature; I’m surrounded by the most incredible countryside and real live toucans and parrots fly past – they are not just things you see on postcards from Brazil. People; I’ve met so many fantastic people since I moved to Brazil – some locals and some foreigners living here. There is something about living away from your home country that encourages you to get out to meet more people than if you were back on familiar territory and this can be a wonderfully positive experience. I have even ended up working with the British embassy to promote the UK for business and tourism. Weather; Brazil is an enormous country with searing heat in the north to snow in the south. Where I am living now will be dry until about September and I work outside in the sun almost every day. I’m pretty happy about that – would you prefer a balcony with a mountain view or a dull basement office? In short, I have personally had a fantastic time since moving to Brazil and I have found opportunities and experiences that would just have never happened had I stayed in London. There are things I would like to improve in Brazil. Maybe my voice and opinion can help to influence a few changes, but I see so many more positives than negatives. I think that the foreigners who endlessly whine about the problems of Brazil are living in the wrong place. It’s 50 years since The Beatles released “Love Me Do” – their very first record – so me and Angelica have arranged a Beatles themed British party at a local bar in São Paulo. There will be British food such as Cottage pie and bangers & mash, plus British beers, including London Pride and Honeydew. 1. 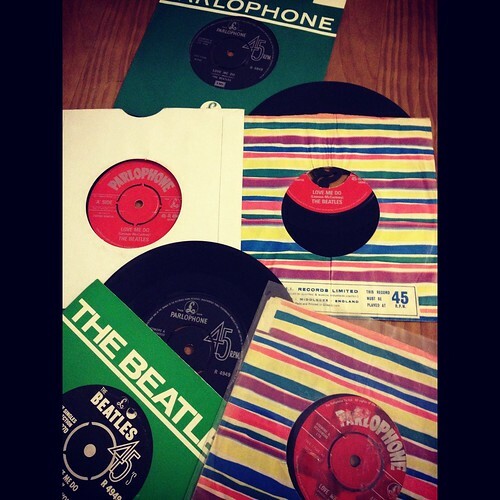 The best three British fancy dress costumes will get original 1962 copies of Love Me Do… worth several hundred R$ each if you can even find a copy in Brazil. 4. The British quiz at 20:00 will cost R$10 per person to enter – the winner takes all the entry money. Last time we did this at the same bar the winner got over R$400. It’s going to be fun and it’s all British! 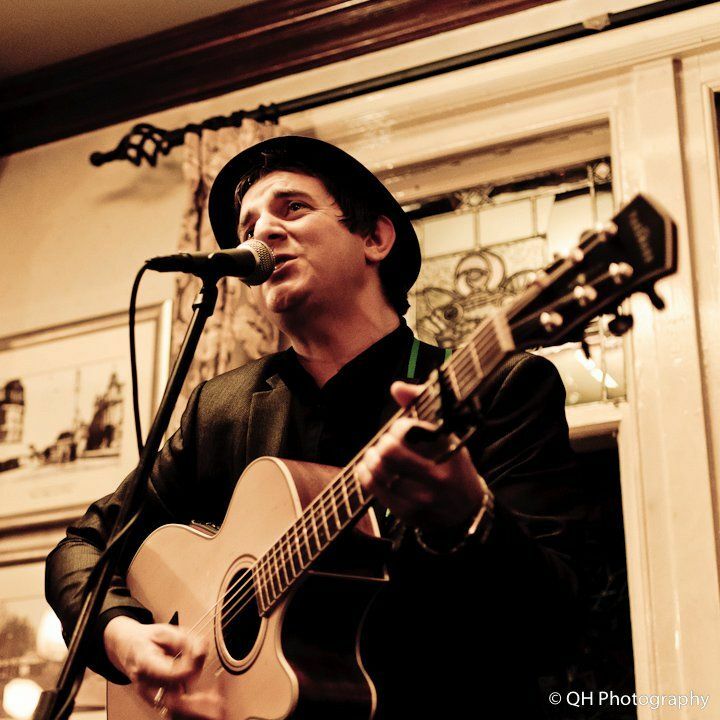 The singer is great and we have some more surprises for the event too so make sure you come along! You can find more details and register on the Facebook page for the event here… and why not become a friend of the bar while you are there? Sometimes when I go to see a band that has been together for ages it can be a great event. The memories of gigs and songs from long ago come back and you end up reliving that time just for a couple of hours. When I saw The Damned a couple of weeks ago it was a bit like that. These guys started out in 1976 and even after 35 years they bounced all over the stage and put on a real sing-a-long show full of their classics. 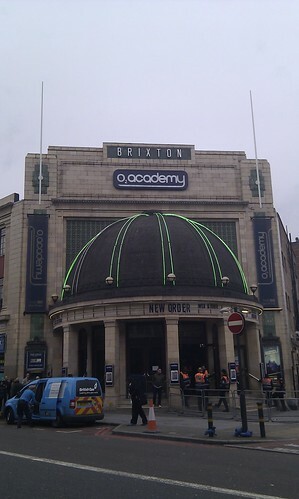 With New Order at the Brixton Academy last night it was a different story. I really like New Order, they are an institution and legends of the Factory label in Manchester – in fact they bankrolled Factory and allowed many other bands from the area to get a start in life. They also avoided the heritage circuit – not that there is anything wrong in performing all your old songs for the fans, but there is a finality to that – acknowledging that your best days are in the past. At the gig last night they felt old and tired. Gillian and Bernard have never really been all that animated, but it didn’t look like they were having fun. I think they really needed Hooky there to interact with the audience – the live experience is about more than just churning out the songs, a band needs to interact with the crowd for the concert to become a real experience. They took ages to get going. ‘Regret’ was an early crowd-pleaser, but that was it. Their choice of songs didn’t seem to encourage the crowd to start enjoying the gig early on. By the time it got better we were one or two songs from the encore. And the encore was ‘Transmission’ and ‘Love will tear us apart’ by Joy Division. Great stuff, but why not include a New Order classic there too? The sound was also pretty bad – mixed poorly so the vocals were hardly audible – singing and speaking. When Bernard did say something it was just a mumbled noise and when he was singing the guitars drowned him out completely, until the keyboards were used and then they drowned everything out. So I left a bit disappointed. It was one of those shows where you expect a legendary band to behave like legends, but they just do a pretty average pub rock gig in a large venue. A shame really. If you are in London tonight and you want to see a great gig then you could do far worse than going to see some mates of mine play at a great venue – the Camden Roundhouse. This historic venue used to be an old railway shed with a turntable where they could turn engines around. It was also the only British venue that The Doors ever played in – though I never really rated the ‘poetry’ of Jim Morrison myself. The BibleCode Sundays are supporting the Dropkick Murphys tonight, so at one gig you get to see the best British and American flavours of Irish folk/rock/punk… all in one night. I hope Diageo have supplied extra Guinness to the pubs of Camden for the flood of London Irish that will be on the streets later.